Is My Mid Century Modern Desk An Homage or a Cheap Knock Off? 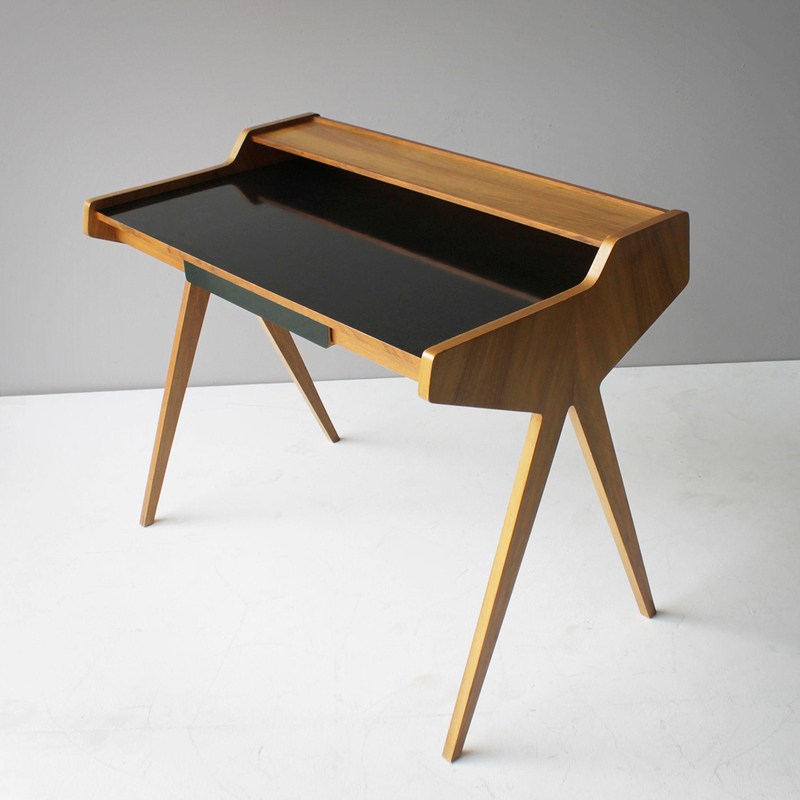 Caleb Kraft for Make: I needed a desk for my office. Being a maker that is also loaded down with fancy tools, I couldn’t bear to go to the store and buy something. I decided I wanted to make something, and the design would have to be one that I wouldn’t mind looking at for long periods of time. The big question at this point, however, is what to do with the files. Do I share them even though this is a knockoff of Helmut Magg’s work? This is a lovely project idea and something I would very much like to do for myself. This particular project raises some interesting questions as the desk is based on a fairly famous 50s writing desk designed by Helmut Magg. It and other similar Magg desks are still sold from licensed vendors for thousands of dollars apiece. There is also a pretty healthy knockoff market. Like the author, I think these kinds of designs are fine to use as inspiration for personal projects, but selling them — or even giving away the design blueprints — definitely puts you in a grey area. You’d probably be opening yourself up to a lawsuit, even if you were ultimately well within your legal rights. Make: Design for CNC — This book introduces the knowledge and skills that you’ll find widely applicable across all kinds of CNC projects. Not only will you learn how to design, fabricate, and assemble a wide range of projects, you’ll have some great furniture to show for it! In Autodesk Fusion360, I designed my own. This is where things start to get muddy. I looked at his, then put it away and designed my own. All my angles and measurements are actually different than his. However, I very obviously was designing something to look pretty much just like his.